Drop By This Fine-Dining Restaurant For Some Authentic Parsi Cuisine!
" Jamva Chalo Ji " as a noted community philosopher once proclaimed, the answer to everything in life is contained in those three eternal words. Jumjoji is a casual speciality restaurant that has very comfortable seating and the menu comprises of authentic and yummy Parsi dishes that you will relish. I'm a half Parsi, so I have been a regular eater of Parsi cuisine. I have had the cuisine in many places, the most authentic Parsi food you get is at the parsi weddings and their other ceremony. The taste and the flavours of the food served at Jumjoji are exactly like that. I had taken my mom for a meal as it was navroz ( new year for Parsi community ) she was so impressed by the authenticity and the flavours that she herself for the first time told the manager and the servers that this is the best parsi meal I have had after my own mom's food. The place is great for a wholesome meal with friends and family. The service is quick and the quality is pretty good, they are very cordial and polite which adds to the overall experience. Parsi community is very respected and comes from a great lineage, customs and community achievements, parsis are fiercely proud about their food and not surprisingly the walls of Jumjoji reflects this Parsi pride in the form of neatly framed photographs of historic Parsis and some famous Parsi sayings and quotes. So what all I had and loved? - Ava Merchant's mutton kabab. A divine combination of juice minced mutton, infused with flavourful ginger garlic paste and shallow - fried on medium heat. Served along with tangy green mint chutney. - Amaiti Cowasjee's Patra ni Macchi A recipe gifted by the descendant of diwan Hormazd cowasjee of Navsari , Patra ni Macchi consist of delicately marinated fish coated with subline green coriander - coconut chutney, wrapped in a banana leaf and steamed to perfection. Because the community considers fish a symbol of good luck, Patra ni Macchi is traditionally served at Parsi weddings. - Prawns farcha. This was the best prawns farcha I have ever had. It was on the special menu designed for the navroz food festival. - Prawns Berry pulao. The berry pulao is a delicacy invented entirely by Parsis as a homage to the spicy cuisine of their adopted Homeland. 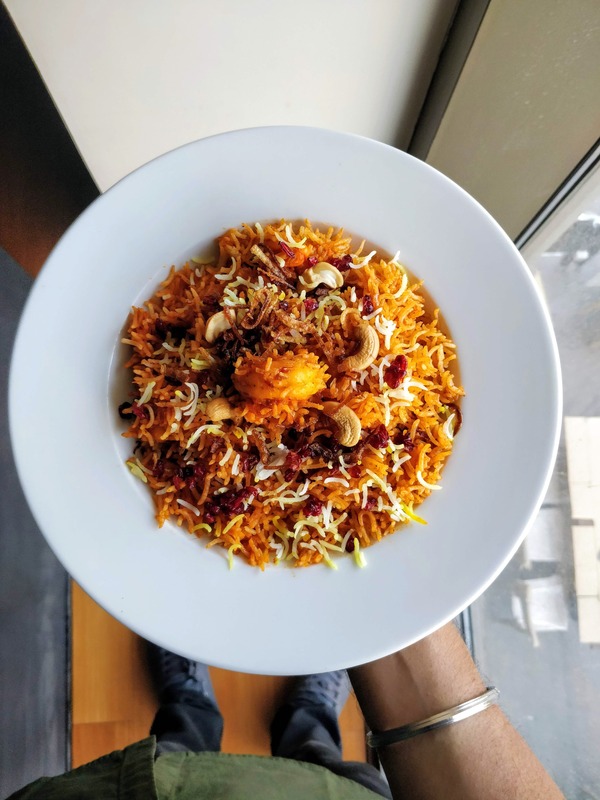 Their version of the prawn berry pulao brings together the tang of zereshk berries with the sweetness of fried onions and the zing. - Kolmi no patio. Traditionally cooked in a patio tapeli , from which it gets its name. The kolmi no patio is a sweet, sour and spicy delight made with the freshest. Most succulent prawns sourced locally, it is just the accompaniment to elevate plain dal-roce to a feast fir for a shah. Ended the meal with the famous and must have dessert - Lagan nu custard. Legend has it, this dessert recipe courtesy the godiwala clan of lagan caterers has pushed Many a reluctant Parsi to the brink of marriage. An ethereal marriage of milk and sugar topped with a sprinkling of roasted almonds and pistachios. It has to be the best meal of 2019 I have had till now. I would love if everyone visits this place and enjoys the meal of a community that has the sweetest people you will ever meet. The stock is available till Parsis last. One Of The Best Parsi Diners In Town!